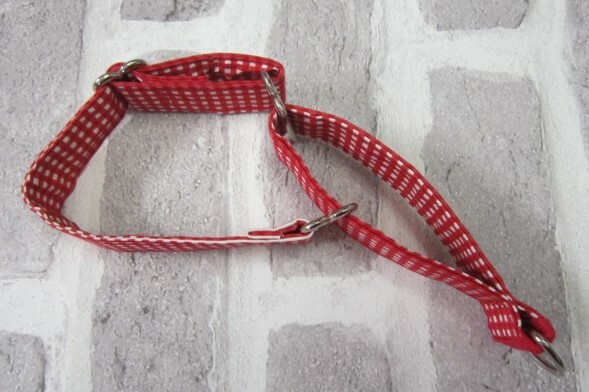 This little darling has been custom made with the top loop a little longer because the dog has huge, fluffy ears and needs a bit of extra space to slip the collar on and off. It has taken me ages to get my hands on gingham check in a 100% cotton – everything is poly cotton – or stupidly expensive. I picked up this red – blue – yellow and mint and I will be making bandannas and collars – maybe even a couple of leads too.